L.L.L4L.L.L. 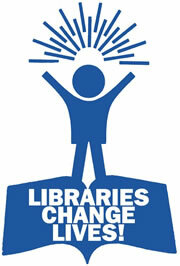 : Teacher librarians need your help to step up campaign. Teacher librarians need your help to step up campaign. Are you looking for a strong future as a TL ? Please take a few minutes to help get action from the Inquiry recommendations. The Hub has plenty of suggestions of ways you can help support your chosen profession. Your time is up Peter Garrett.. . .It has now been over three months since the report on the federal Inquiry into school libraries and teacher librarians has been tabled in parliament. Advocates fear that a parliamentary inquiry report into teacher librarians will be passed over in a busy parliament. The Australian Library and Information Association and Australian School Library Association have created this wiki to enable parents, students, teachers, and everyone else who is concerned about the state of school libraries, to find out more information about this highly topical issue and to join in the discussion.